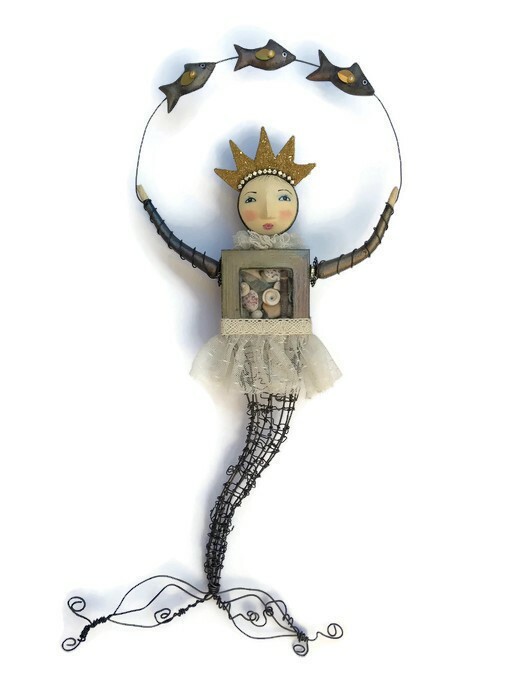 Student will learn to make an intricate wire wrapped mermaid framed body using pliers and their hands. They will also work with paper clay forming a simple head, arms and the three fish. 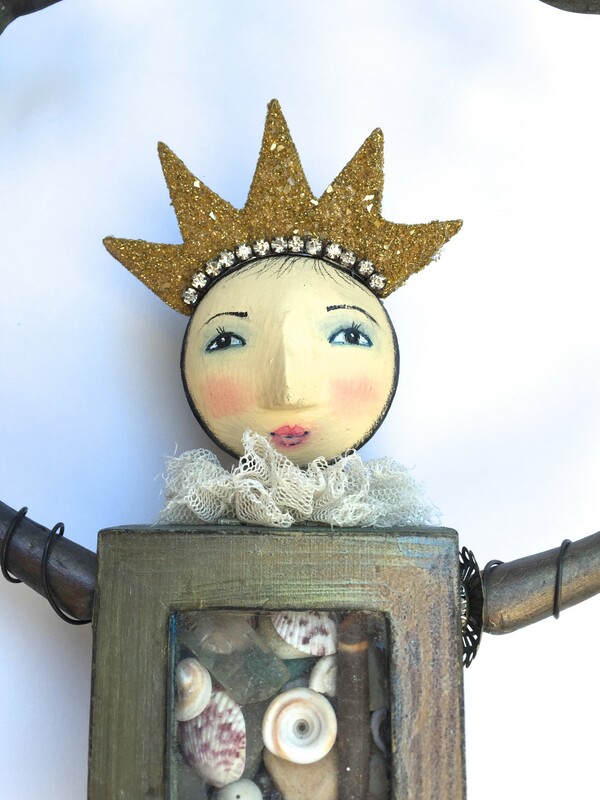 The mermaidâ€™s body is a wooden box with a glass door filled with small treasure the students will bring. The body box as well as the arms and fishes are done in a specialty finish consisting of paint and mica rubs. Other embellishments will also be added such as gathered laces and the glass glitter crown that is also made out of paper clay. Learning to create a simple doll face will also be a part of this class. Instructor will provide all supplies needed to make the doll. 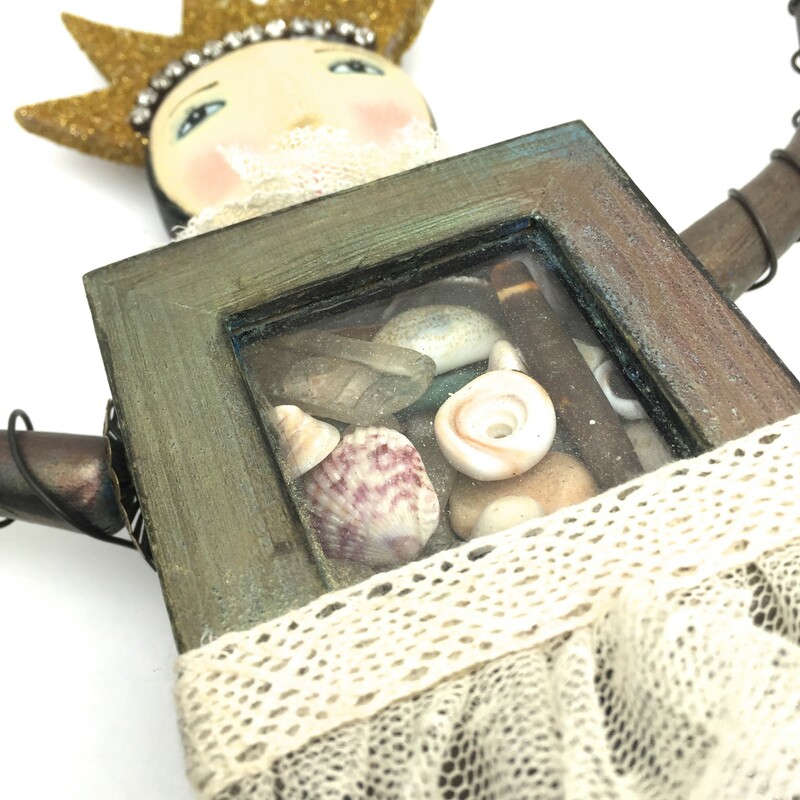 Students need to bring small treasures to fill a 2 x 2 x 2 shadow box; beach combings are suggested. They may want to bring their own set of jewelry pliers-chain nose, round nose and wire clipper if they are partial to using their own tools. But plier sets will be provided.